Frocks rocks the change of seasons – and around the world! Summer is slowly exiting, stage left, but in NZ it just means a new season of great accessories to wear – including, of course, on your bike. We’ve got some great goodies lined up for Autumn, and to keep you on your toes over winter, we’ll be organising a Road Rights and Responsibilities bar evening. Watch out for more info on our events page or sign up for our newsletter to hear more. It’s been a good summer – see below for a summary of what we have been up to. 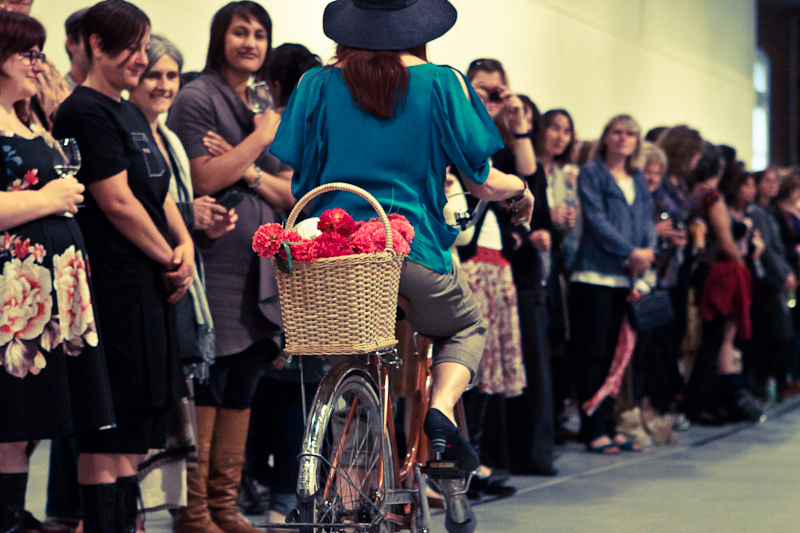 In exciting news: the Frocks On Bikes “mothership” has taken the NZ story to the world! We’ve presented Frocks story at the prestigious international urban cycling conference Velo-City – this year in Vienna! Keep an eye out for updates from Christina on her trip. The ripples of love are still resonating from the Love To Roll ride in March, and there’s a new cohort of confident, cool and chic cyclists owning the urban jungle, having taken in our Street Skills workshops. We’re showcasing ever more funky Wellingtonians on two wheels via Wellington Cycle Chic – check it out to see if you or your stylish two-wheeling friends have been spotted! Turn heads this autumn: get your style on a bike! Frocks On Bikes can be the vehicle (no pun intended) for making your great idea a reality. Frocks has had a fantastic 2011-12, season, taking our events up a gear and getting slicker, better-funded and generally more professional. 2013 is a great time to realise some of your great ideas and turn your talents into tangible goodness! Get in touch to talk about cooking up a cool event with Frocks On Bikes. Got an idea for a frocktastic event? Do you and your steed have the urge to lead or organise? Let Frocks On Bikes be the vehicle for your dream – get in touch!